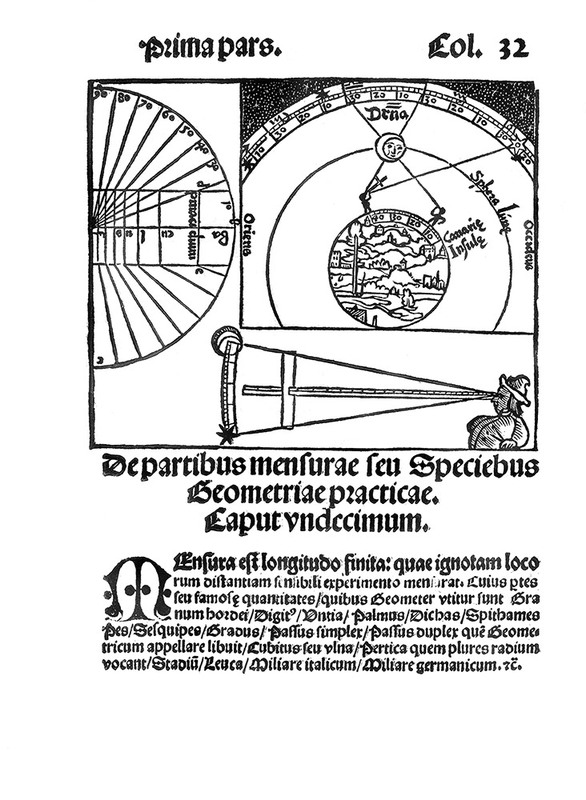 Using Lunar Distances to Find Longitude, from Peter Apian, Cosmographia Petri Apiani, 1524. Astronomers had long known that the Moon changes its position against the background of the sky and stars fairly quickly. It moves the distance of its own diameter in about hour, a distance called a “lunar.” This steady motion could be used to measure time. To figure out longitude, a navigator measured the separation between the Moon and a particular star. Based on that separation, he used a book of tables to look up the predicted time at a reference point such as Greenwich. The difference between that reference time and the local time aboard ship was used to determine longitude. Astronomers had long known that the Moon changes its position against the background of the sky and stars fairly quickly. This steady motion could be used to measure time.